Swansea Astronomical Society Blog: Perseid Meteors and a sporadic. Perseid Meteors and a sporadic. 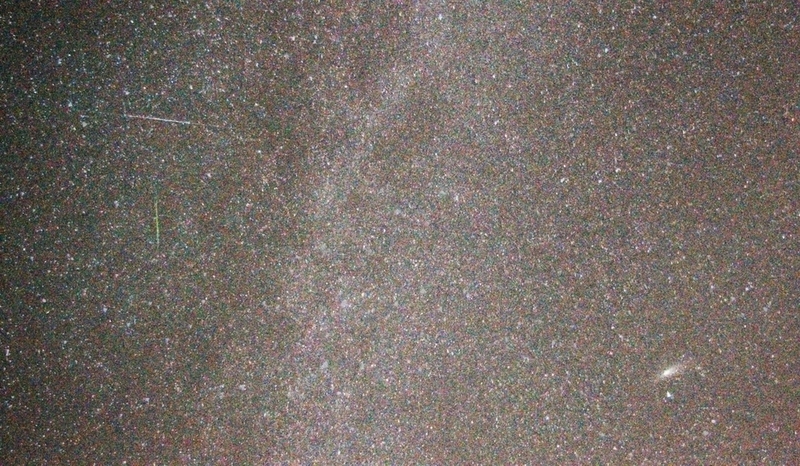 A Pentax K-x DSLR, fitted with a light-pollution filter, was mounted on a Merlin AZ auto-tracking mount. The camera was set to ISO 6400 and f/3.5. 30s RAW exposures were repeatedly made until some meteors had been captured. 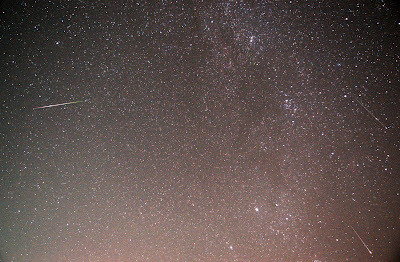 Three images were captured with Perseids in them. The images were stacked in Deep Sky Stacker, which de-rotated the images and stacked them to produce a composite image. The meteors are clearly emerging from the radiant in the constellation of Perseus. More details tomorrow. 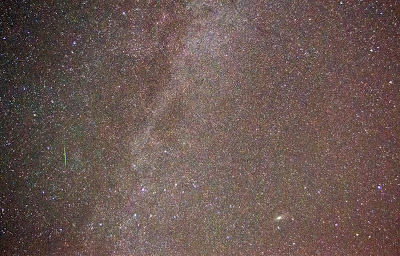 The part of the Milky Way where Perseus is located is clearly visible. 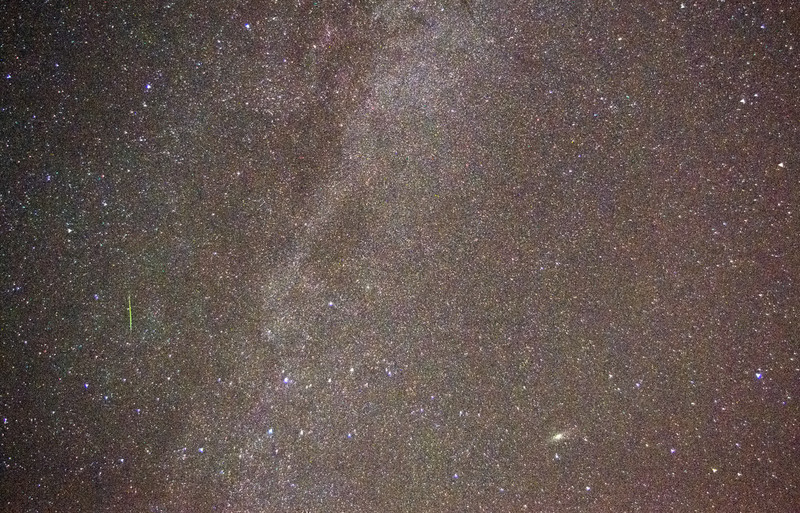 The meteor can be seen on the left, Cassiopeia in the middle, and the Andromeda Galaxy on the right, with the Milky Way going diagonally up the middle. 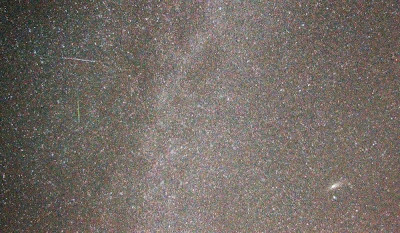 Colin Elphic sent a message from Kennexton, on the Gower, to say that between the hours of 23-20h and 01-15h, he observed 71 Perseids, most of which were bright, leaving trails.